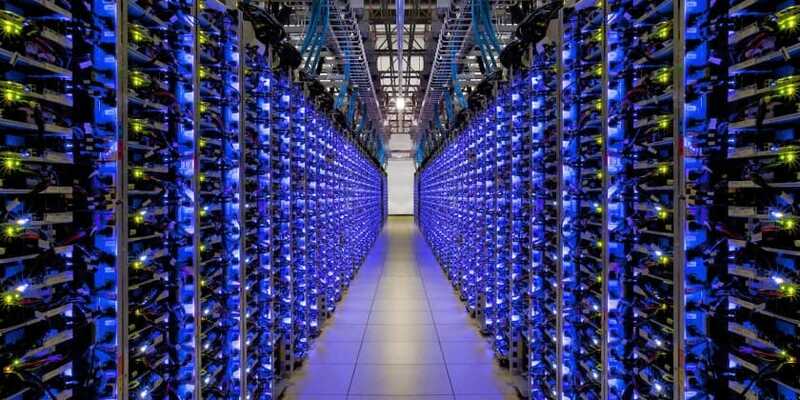 According to Industry and DQ estimates India Datacenter market is pegged at Rs 35,000 crore for 2018 and the market will reach $7 billion by 2020 at a growth rate of 23% to 25%. Increased adoption of mobility, big data, and software designed networking by Indian enterprises, coupled with the proliferation of the internet and government’s focus on digitization have led to the growing need for data centers in the country. According to Gartner, sectors like Telecom, IT, BFSI E-commerce and Government have fueled the rise of intelligent data centers. According to a Frost & Sullivan report, from and APAC standpoint, it said, the Datacenter services market will grow at a compound annual growth rate (CAGR) of 14.7% from 2015-2022 to reach US$31.95 billion at the end of 2022. The key theme driving growth across Asia-Pacific is the explosive digital needs of emerging economies with huge populations such as China, India, and Indonesia. Furthermore, rising complexities within the IT infrastructure brought about by virtualization and consolidation, coupled with various cost constraints, are encouraging enterprises to look into adopting third-party data center services. This is spurring the strong growth of managed hosting, especially across emerging economies. Today, with the rising power and real estate costs, CIO’s and data center managers are under the constant pressure to reduce their CAPEX and OPEX. The development of colocation and cloud along with legacy data centers has led to a hybrid data center environment that makes management even more complex. A datacenter is an ecosystem, a judicious blend of technology- both hardware and software make for a robust datacenter. There are many performance uptime benchmarks that grade the services provided by the DC providers. Lets here look at some leading vendors in the Datacenter space and their competencies. Netmagic has recently launched two new high-density and hyperscale datacenters in Mumbai and Bangalore. Mumbai’s datacenter (DC 6) will offer 7,900m2 of server room area (equivalent to 2,750 racks), and Bangalore Datacenter (DC 3) will offer 5,700 m2 of server room area (equivalent to 1,500 racks). These new datacenters in Mumbai and Bangalore reflect the added advantage of Netmagic’s operational excellence in Managed Services. This gives these data centers the capability of becoming the new benchmark for the industry in India. Now, Netmagic has nine data centers in total: five in Mumbai, two in Bangalore, and one each in Chennai and Noida. The latest and fifth data center in Mumbai is the biggest facility in India and spread over 3,00,000 square feet. The combined datacenter capacity across all these nine facilities is currently around 6,00,000 square feet and with the two new datacenters, overall capacity has expanded to 13,00,000 square feet. Netmagic has grown at a CAGR of 34% over the last five years and is expected to grow at 29% in FY 2019. Over the next five years, the aim of the company is to achieve a CAGR of 25% to 30%. Cloud (Multi-Cloud, public, private) contributes about 44% of its revenue, co-location services 42%, and the rest is from remote infrastructure management services to global customers. Company sources say that CtrlS is India’s 1st and Asia’s largest Tier-4 datacenter provider. The company has Tier-4 datacenter facilities across Mumbai, Bangalore, Noida, and Hyderabad. The company operates a Tier-3 datacenter in Chennai. The company enables Fortune 100 Global MNCs, Banks, Payment Gateways, Telecom, IT/ITeS companies, Manufacturing companies and E-commerce players among others in its datacenter facilities. It prides itself as providing best uptime SLAs in the industry of 99.995%, lowest PUE of 1.42, carrier neutrality, robust security, and pollution free air in the datacenter to avoid corrosion of hardware and earthquake and flood proof facilities. According to company sources, it says that it is in the final stages of its new Generation 3 data centers going live in Hyderabad in November 2018, large data center tower is getting ready for service in Mumbai in January 2019, and the company has plans of opening new datacenter in Kolkata. Sify has also started work on 4 mega data centers two each in Chennai and Bangalore. In terms of strategy, the company has a vertical industry focus and some of the key verticals that it would address remain aligned with the new locations that it is setting up its DC’s. The company says that it has also witnessed an increasing interest from international operators especially the OTT players and they would remain in its focus-radar. SLA performance on the availability of 100% last 10 years. Company sources say that in a very short time Pi has been listed in the top data center list by Gartner, in the Indian market space. Enterprises today are also looking for one single service provider, who can handle all their IT infrastructure needs, in the space of cloud, data center, and managed services, rather than engaging in the multi-vendor model. One of the major differentiators of Pi is being an Uptime Institute Tier IV Certified Data Center, with world-class design and architecture. Pi’s datacenter is comparable to some of the bests in the world, in terms of quality and design. Because of our innovative and modular design, we offer greater flexibility and scalability, supporting the future growth of our customers. Pi takes the credit of introducing Mega Data Centers to the Indian industry, with intelligent and self-healing infrastructure. In India, the key growth drivers for DC services include rising growth of data, digitization, increasing number of interconnected devices due to IoT, cost of servers. Besides, datacenter center as a part of the overall IT budget is becoming exorbitant and slowness in building infrastructure (sometimes it takes a few months to procure hardware infrastructure) to address the growing business needs. As far as market classification is concerned, it is mostly divided between Tier-3 and Tier-4 datacenters as business seek high uptime, most business would prefer a Tier-4 datacenter as they provide near-zero downtime. Boom Time: How the Datacenter Services Market will Grow 0 out of 5 based on 0 ratings. 0 user reviews.